It’s February and it’s cold outside. January is finally over after feeling like it might have been twice as long as a standard month. Well, stop that now. Here are a load of good reasons why you should visit Cambridge this year, starting now. 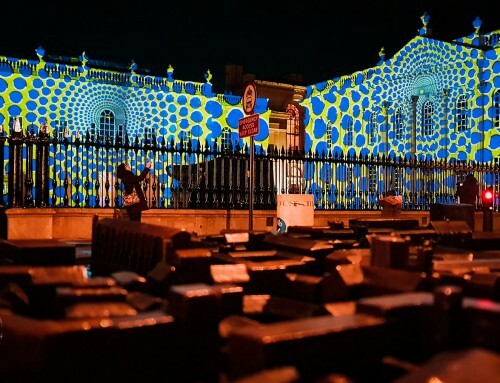 Happening again, really soon is the e-Luminate Cambridge festival. 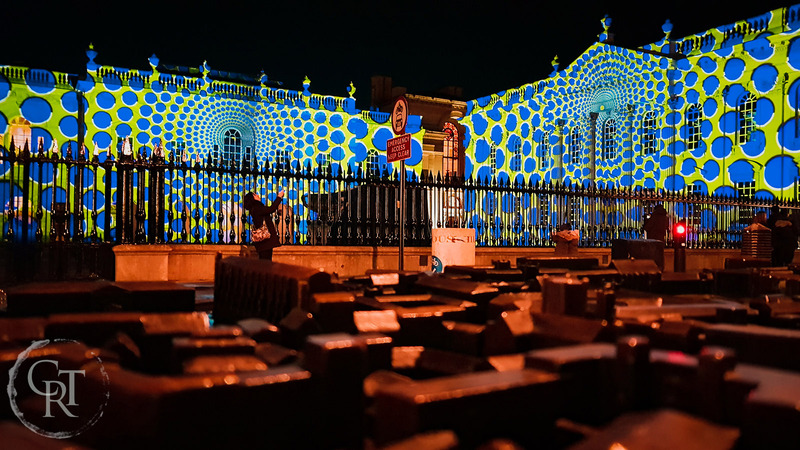 If you’re not sure what that is, check out our blog post from 2016’s festival and you can now read our blog post on the 2018 Love light festival. 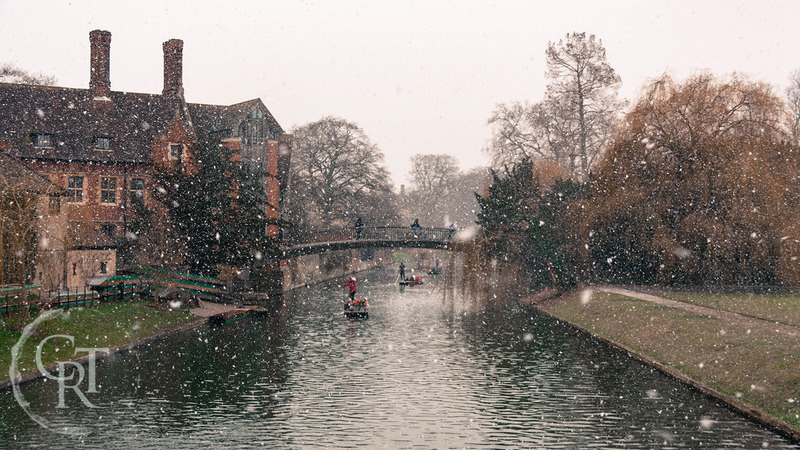 Yeah, okay, so we’ll hold our hands up to being a tiny bit biased on this one, but trust us, going for a boat ride along the river Cam is actually really amazing whatever time of year it is. Plus, in the winter it’s much quieter, there are no pesky leaves on the trees to obscure the view and the light is great for taking photos. So just wrap up warm, bring a Thermos and some thermals and you’ll be sorted. 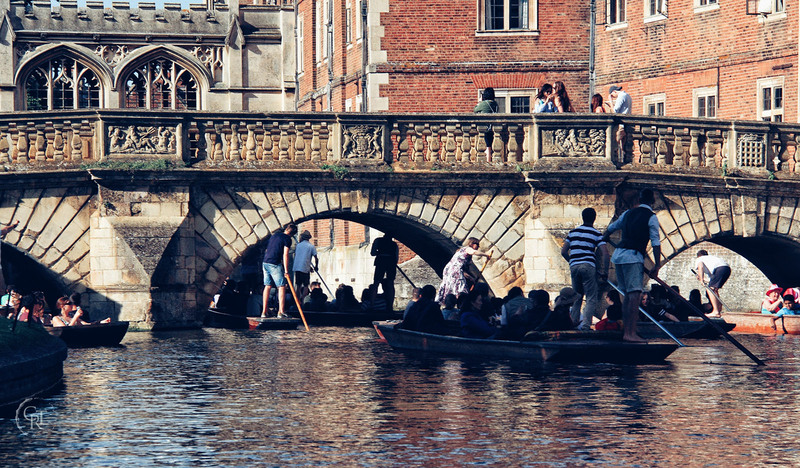 For more information on going punting with us visit this page. Let’s face it, the last few years haven’t been great for the value of the £ compared to other currencies. If you’re from the UK, then the cost of going abroad has gone up and if you’re from outside of the UK then the cost of visiting the UK has come down. 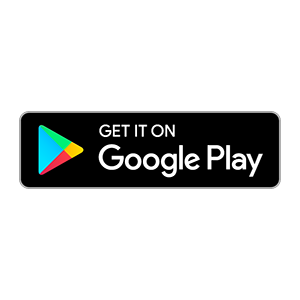 Whichever way you look at it, your best bet is to spend your hard-earned money right here in Cambridge – you know it makes sense! (to name but a few) have all studied or worked at Cambridge University. Every day, the world leaders, ground-breaking scientists and tax dodging comedians of the future are wandering the streets and frequenting the pubs of this magical, medieval city. …and most of the time, you’re actually better off if you do. Cambridge’s expensive parking, one way systems, narrow medieval streets and pedestrianised city centre make driving around town a frustrating experience, even for the most hardened of locals. Fortunately (despite its rapid expansion in recent years), it is still quite a compact city, and not only is it quite easy, it’s often quicker to navigate your way around on foot, or better yet by bicycle. The lack of any serious hills also means you won’t need to be a hardened Lycra fanatic in order to feel comfortable doing so. 8. 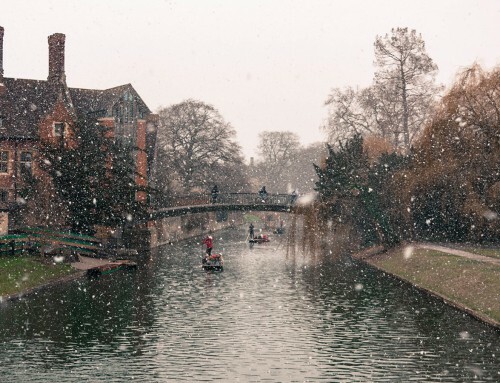 Did we mention how beautiful Cambridge is? …and to suit all budgets as well. 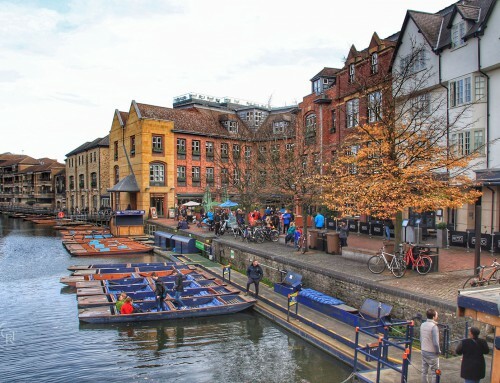 Cambridge offers accommodation ranging from B&B, Travelodge/Premier Inn style hotels, boutique hotels such as the Varsity hotel, Air BnB accommodation, camp sites (probably only advisable during the warmer months!) and, outside of term times, the Cambridge colleges even offer B&B style accommodation in their rooms. That’s right, as well as visiting the famous colleges, you can actually stay in them too! Check out our places to stay in Cambridge page for more information on that and to make a booking enquiry. So, with so much to see and do, why limit yourself to just a day trip? 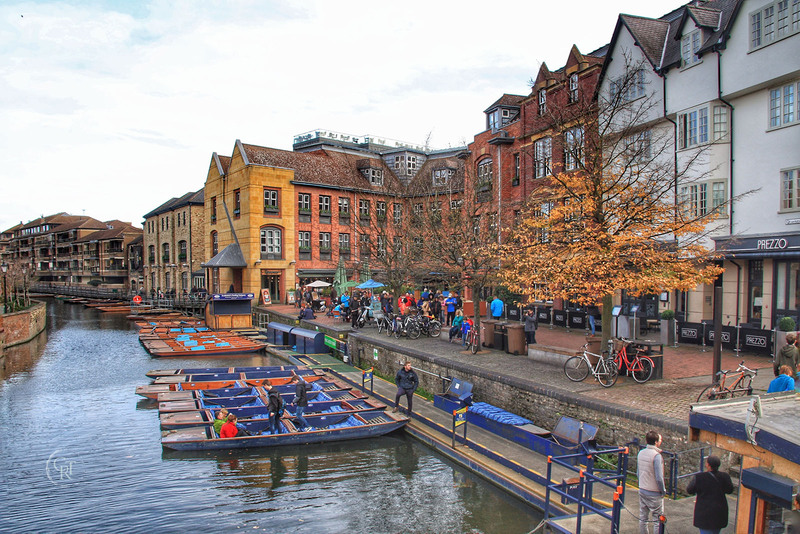 Much like places to stay, there is a huge variety of places to get food from in Cambridge. You should be able to find something to suit both your taste and budget, no matter what. From Mill Road’s plethora of kebab shops (many other restaurants are available on Mill Rd too, it has to be said) and the now legendary Gardenias in Rose Crescent, through to at least one Michelin starred restaurant (until quite recently there were two). 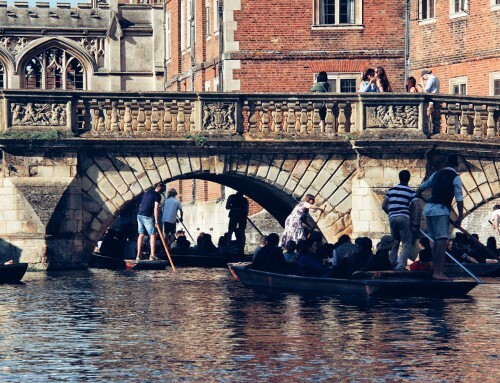 Yes, Cambridge is a city, but most of the time it really doesn’t feel like it. As well as the numerous green spaces in the city centre itself (Jesus Green, Midsummer common – hello cows! Yep, that’s right, we’ve got a world renowned busker (not necessarily renowned for his singing, it has to be said…) who plays guitar from inside a bin… it has to be seen to be believed. You can usually find him roughly opposite the Corpus Chronophage (time-eater) on King’s Parade. A busker in a bin? Whatever next? Not to mention the Chronophage itself (big shiny gold thing with the ugly looking insect on top). Singing bin man not pictured. There are countless museums (okay, you could probably count them, if you really wanted to) in Cambridge and many (most) of them do not charge an entry fee. 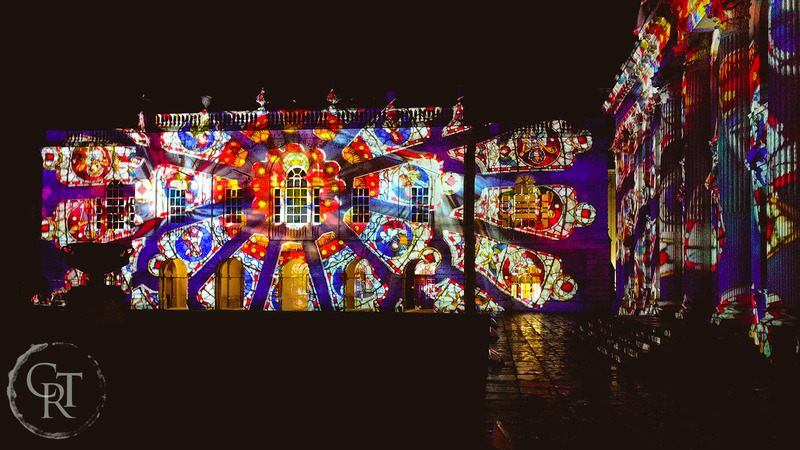 Check out the Fitzwilliam Museum, the Cambridge Folk Museum, the Whipple Museum of the History of Science, the Cambridge Museum of Technology for a start. Offering something for everyone, no matter what the weather. You can have a drink in the pub where the discovery of DNA was first announced (the Eagle on Bene’t St), you can look at the apple tree that is closely related to the one that invented gravity (yeah, we know that Sir Isaac Newton got all the credit but really the tree is the real hero here). As you wander through the ancient streets remember that you are following in the footsteps of 800+ years of history and achievement. There’s other stuff, like the fact it’s really easy to get to Cambridge by train from London; it has its own airport, etc, etc, but we won’t bore you with all of that stuff, because if you haven’t been convinced by now, then telling you about the excellent transport links probably isn’t going to do it! Or leave a comment, or send us a postcard, or some cake. We like cake.